﻿ How to distinguish between second - hand optical transceivers? How to distinguish between second - hand optical transceivers? With the development of optical fiber communication industry, more and more customers begin to pay attention to the stability and reliability of optical transceivers. At present, the optical module are intermingled on the market. In order to make big profits, many manufacturers sell second-hand optical modules, brought great harm and hidden danger to the market. Fiberland has the responsibility to maintain the sound development of the optical fiber communication industry, as well as to protect the interests of our customers and friends. Today we will share some tips for identifying second-hand optical modules. 1.Appearance: The appearance consistency is good of new module, the used modules are mostly products from different manufacturers, the shell is very old, without luster after a long period of use. There are some scratches, and optical interfaces with dust. 2.Optical port: Pull out the dust cover to see the sleeve, the glossiness is poor, relatively rough. A few of the inner walls will have scratches, while the new sleeves are smooth, glossy and consistent. 3.Temperature: Put the used module at 50-60 degrees to see if it works properly. In addition to the above methods, we can also identify whether the modules are second-hand from the module performance. 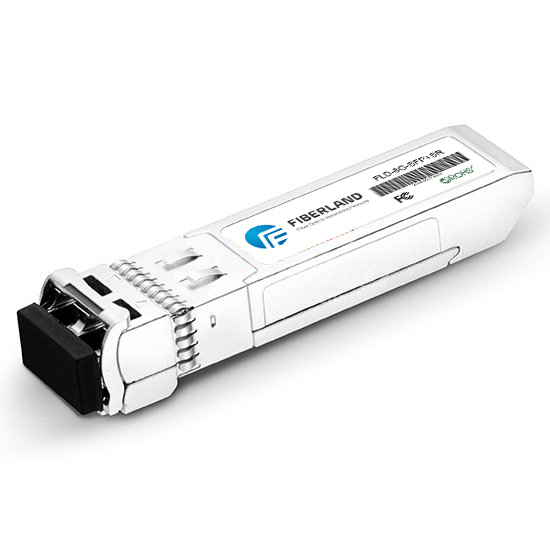 ※ Working current: The working current of 1.25G SFP module is normally below 180mA, while the used one will be above 220mA. Therefore, this module will be very hot in the working state, and when the ambient temperature becomes high, it will reduce the quality of communication. ※ Low receiving sensitivity: The receiving sensitivity of many old modules can’t meet ITUT.G.957 and IEEE802.3U international standards. There is no packet loss in routine testing, but in a slightly hostile environment, the communication link will lead to packet loss, which will seriously affect the quality of the network. For example, the fiber quality is a little bit worse, and the loss of passive device connected to it is a little bit larger. ※ External cavity damage: The outer cavity of the optical module mostly is plastic material or metal material. The repeated insertion and removal of the joint will cause a certain degree of wear in the inner wall of the external cavity, so that the optical device transmission coaxial can not be guaranteed. Thus, the optical path of the optical device is changed, such as: small optical power, large error rate, abnormal extinction ratio etc. On the device, the packet loss rate increases, network timeout and the system is unstable. In severe cases, the network can not be connected for long periods of time. ※ Service life：Generally the service life of new module is more than 5 years, second-hand modules have been used for at least 5 years, the TO Can, PIN TAI and related devices are nearing failure, It may not emit light any time. Second-hand optical module in use more than six months, within a year is bound to appear in varying degrees of problems. It is best to choose a regular, quality control ability of manufacturers when choosing optical modules, to avoid causing great financial losses to you and your company.